Paediatric ENT at Great Ormond Street Hospital for Children. 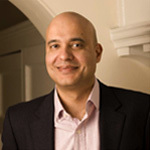 Mr Sandhu has a practice in general ENT in adults and children. chapters and has over seventy peer-reviewed papers published. at RNTNE, The Royal College of Surgeons and Charing Cross Hospital. Medicine, both at The Royal Society of Medicine. He is also ENT surgeon to the Royal Society of Music. He also consults privately at Charing Cross Hospital.